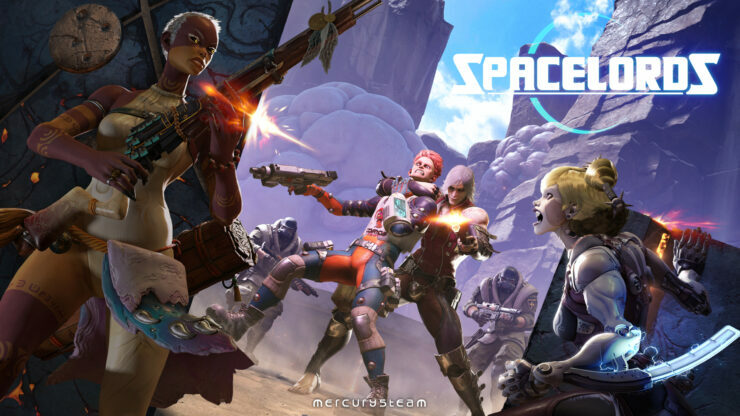 I'm a nobody who started to actively create content on my Youtube channel to support an amazing indie title called Raiders of the Broken Planet/Spacelords developed by Mercury Steam. This game sparked a creative renaissance for me, and really pushed me to persue editing techniques, graphic design, and informational videos. My goal is to introduce players to the game and give them an entertaining and easy to access information hub on various characters, weapons, cards, and game mechanics, while sprinkling in more comedy based videos to show what the game has to offer at its best. I live stream when I can to get in touch directly with my viewers, and their interaction, kind words, and constructive feedback are the primary reason I've come to enjoy taking these tasks on. Engineers are the foundation of Hades Division army, and their strength comes in numbers. Your contribution, no matter how small, is GREATLY appreciated. You know your way around the game, but we've gotta teach you how to use that Stalk buddy! Precise, clean, and terrifying: you're quite the valuable asset here on the Broken Planet! An elite among your peers:you hunt the strays hoping to flee the power of the Fifth Counci. I can hold no higher esteem than that of my favorite Spacelords character. As Aneska you are the most trusted member of the Hades Division, and are a HUGE part of the creative process. At $200 a month, I can commit way more time and resources towards making higher quality videos! With the money donated over the months so far, I've finally made enough to purchase an El Gato HD60 S, which has been a dream purchase of mine for as long as I can remember. Thank you!! !